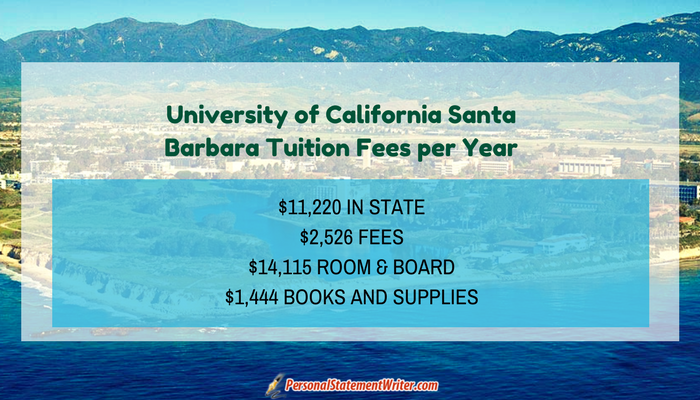 UC Santa Barbara is a comprehensive and public university. It was founded in the year 1909, making it one of the oldest. If you are applying at the university, make sure to submit the UC Santa Barbara admission requirements on time. Also, you may want to read more about the university and look into their culture, mission, and goals. Check out what type of applicants they are also looking for. Also, find out why you may need help from professional personal statement writers. *When it comes to the acceptance rate UC Santa Barbara it is 35.9%. Statement of application integrity: The University encourages applicants to get assistance from counselors, teachers, parents, and others to present themselves in the best possible way. They can remind applicants that all the details should be accurate and complete. They must make the research and choose the approach. The university has five Nobel Prize winners. The university land used to belong to the Marine Corps Air Station during World War II. The school hosts a retreat known as the Family Vacation Center. The institution is a politically active campus. Average Test Scores for the Application: The average score for the ACT composite is 27. History or social science: 2 years required and it should include world history, geography, culture and US history. Average GPA for UC Santa Barbara: Applicants need to earn at least a 3.0 GPA in all a-g courses and for non-California applicants; they need to earn at least a 3.4 GPA. Examination requirement: Applicants need to submit their scores for ACT assessment writing or SAT reasoning test with the essay. The new SAT that was launched last March 2016 has a scoring scale of 1600 instead of 2400. Supplemental applications: The University requires a supplemental application. Creative studies: Applicants need to submit the supplementary and additional application directly to the program. Applicants should complete these requirements to be eligible for the transfer admission. Complete 90 quarter or 60-semester units with at least 2.4 GPA for California residents and at least a GPA of 2.8 for non-California residents. Be sure to check for the UCSB requirements GPA to know if you qualify or not. Note: Applicants are required to apply directly to the specific program. Explain the reasons for studying the course: You need to write what motivates you in taking up the course at the university. It is better to write how your interest developed, what inspirations you have or what you have done in pursuing your goals. Do not forget that in writing you need to be specific all the time. How you are perfect for the program: You need to give evidence showing that you do not only meet the criteria, but also show that you have researched about the program or the course. What have you done? It is a great idea if you will outline how you pursued your interest. You can write about what you have done in relation to your chosen program. You can also give critical views or a reflective opinion about things like quality newspapers, books, scientific journals, radio programs, blogs, and others. Why it is important: You can reflect on your experience and explain what you have learned from it. You can write about volunteering, work experience, outreach program or school taster session. Writing your personal statement does not need to be fancy. Talk: If you reflect on your experience, do not just describe it because you also need to talk about the skills you gained. You need to show how you developed your skills. Demonstrate transferable skills: It is important to demonstrate these skills because the admission committee wants to hear about it. You can also write about teamwork, problem-solving, great time management, leadership, organizational or listening skills. Getting help from the professionals makes sure that you’re getting a high-quality service that improves your chances of winning one of the slots offered. As you may know, writing a high-quality essay also ensures that you’re shining among the crowd in the university that is selective in finding only the best students for them. They also have 24/7 customer support that ensures you are getting the help you need when you have concerns or questions. Thus, it is wise to get personal statement UC Santa Barbara help for the best results. Are you hiring the pros in personal statement writing? Make a step towards success before submitting your UC Santa Barbara admission requirements today!